Roku has become one of the biggest success stories in the streaming device world. Roku established itself early as one of the go-to choices for an all-in-one device thanks to its easy to use interface and those great remote controls with the little buttons for individual streaming services like Netflix and Hulu. Roku devices have become so popular that Roku stock has soared in recent months, sending the company’s value over $7.5 billion. 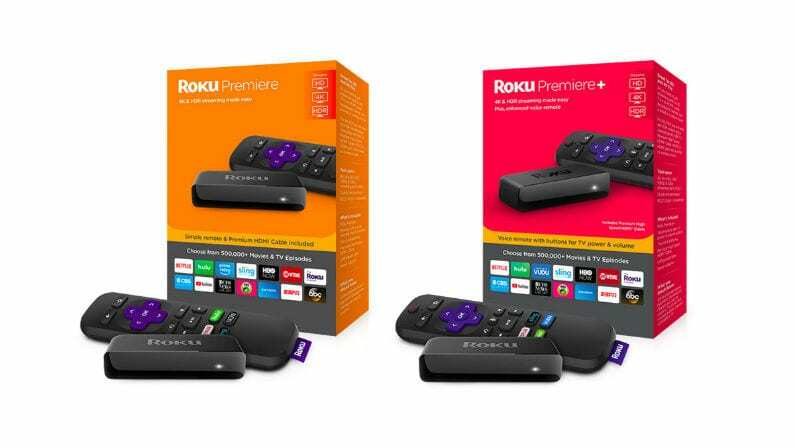 To continue building on that success, Roku has just this week unveiled two new devices sure to please the tech-obsessed crowd: the Roku Premiere and Roku Premiere+. In a press release on their official blog, Roku break down the features of these new devices. The Roku Premiere is set to become the new standard in Roku devices by offering streaming resolutions of HD, 4K or 4K HDR for just $39.99, making it their lowest priced 4K device yet. The device itself is smaller than its remote, making it easy to fit into any entertainment center setup. The device also features a powerful quad-core processor and a super-stable 11bgn wireless adapter for seamless streaming. The Roku Premiere+, meanwhile, takes things up a notch for $10 more. The device comes with all the features and HD capabilities of the Premiere but with a voice-activated remote which also includes power and volume controls for your own TV. Like the Premiere, the Premiere+ packs a lot of power into a tiny package and is priced at $49.99. The Roku Premiere+ is available exclusively at Walmart. In addition to these two new devices, Roku has updated the popular Roku Ultra, their most powerful and feature-packed device. The Ultra has both wireless and wired internet connectivity and an enhanced remote which features gaming buttons, a headphone jack, and dedicated TV power and volume buttons. The Ultra is priced at $99.99 and even includes exclusive remote finder sounds like the Sportscenter or Game of Thrones theme songs. The three new Roku devices are available for pre-order now and will begin shipping in early October. Is it time to upgrade your Roku player?